Lovely 50 square meter apartment on first floor. Kitchen is equipped with most of kitchen appliances. 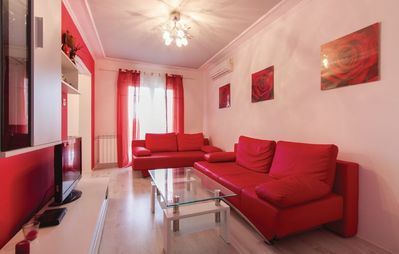 Apartment has one double bed, one sofa bed and two single beds, so this lovely apartment can comfortably accommodate six persons. 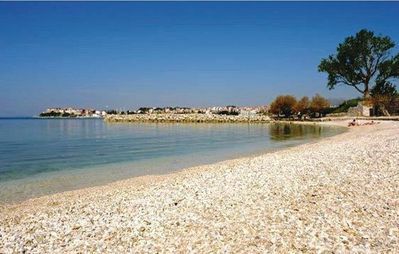 Free parking space, air-condition, free internet, barbecue to use and SAT/TV are highlighted features in our property. 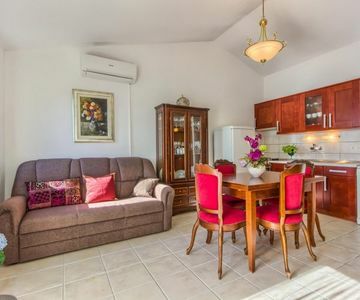 Apartment is located 2.1 km near restoran and 1 km near first local bars and groceries shop. Famous lake "Zmajevo oko" is located 2 km near apartment. 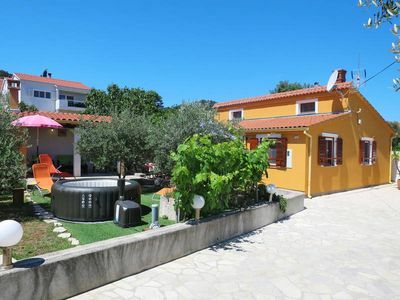 This property is one of favorite choice by guests which travelling in Rogoznica according to independent reviews around the web.